The Cotswolds is a rural area stretching 145 kilometers in the southwestern region of England. Across six districts of Worcestershire, Gloucestershire, Wiltshire, Oxfordshire, Warwickshire, Bath, as well as the southeastern part of Somerset, the hilly contour area is dominated by historic estates and old towns. The Cotswold country house has been around since medieval times. The shape is quite unique deliberately maintained to preserve the culture that ever existed. The building has almost the same height and uses the limestone honey color in its manufacture, starting from the floor, wall, to the roof of the house. 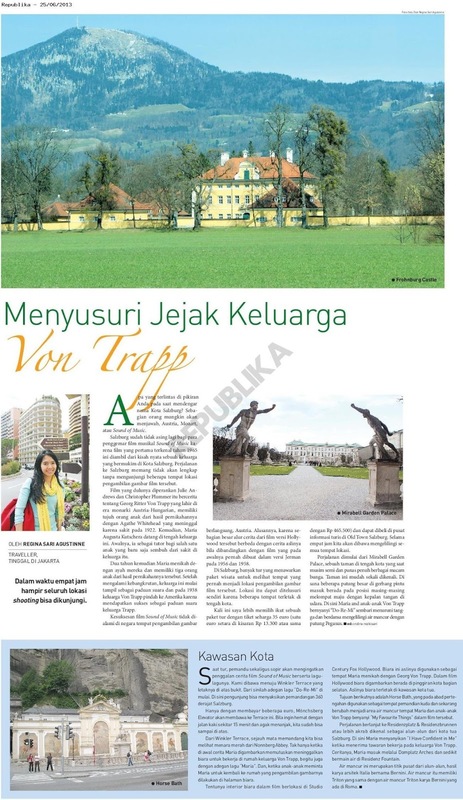 Now, some of the existing buildings have changed functions into museums, hotels, souvenir shops, and restaurants. 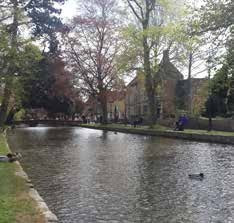 The village of Bourton on The Water known as "little Venice of Cotswolds" is visited by many foreign tourists. The Romans once occupied the area. The name Bourton on The Water is derived from two words from Saxon, Burh which means a bull, and Ton meaning village, and is literally interpreted as a village next to a fortress. Meanwhile, the word on the water is allegedly taken from the flow of the Windrush River, which also crosses the village. Burford is a small town near the Windrush River in the Cotswolds hills, north of the Oxfordshire region or about 20 miles west of Oxford City. 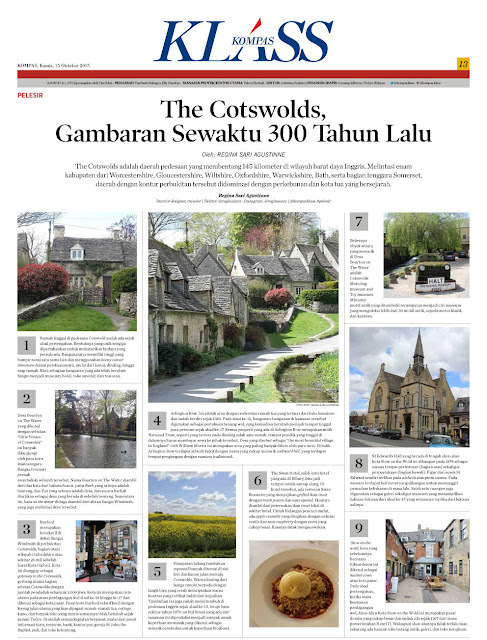 The city is considered a gateway to the Cotswolds, the main gate of the southern Cotswolds with a population of 1,000. 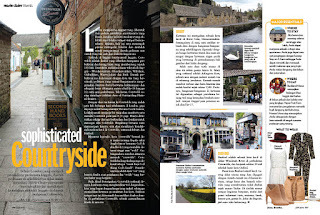 This city is the main route during the wool trade of the 14th century until the 17th and is known as a market town. 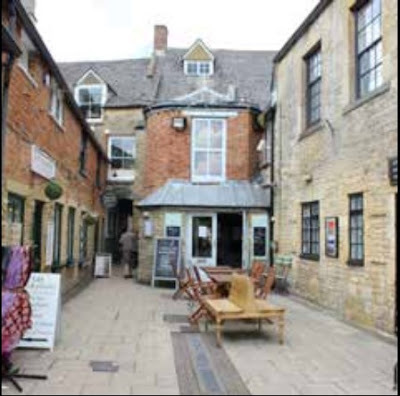 Burford town center is relatively small with large slopes of main road lined with old houses, ancient cottages, and many shops that have remained virtually unchanged since the Tudor era. This is where all the activities are centered, ranging from tourist information centers, restaurants, banks, post office, St. John the Baptist church, pubs and grocery stores. 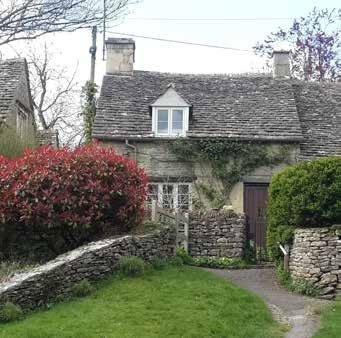 Arlington Row in Bibury is the area with a row of old houses made of limestone stone and has been established since 1380. In the 13th century, the buildings in the area used as shops wool yarn, which later turned into the residence of the weavers since the 17th century. All property in Arlington Row belongs to the National Trust, as it appears on the wall of one of the houses, in which the owner residing in it must pay the rent to that party. 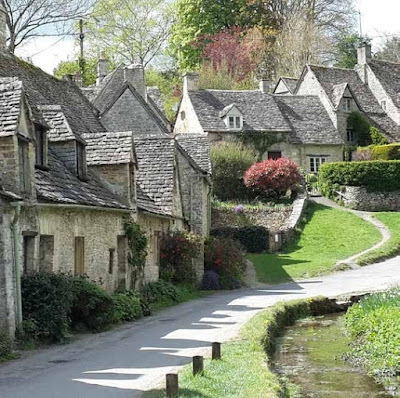 The village called "the most beautiful village in England" by William Morris is the area most photographed by tourists. Behind the Arlington Row there is a hill with a name that is quite interesting awkward hill, which has a place of lodging with a traditional atmosphere. 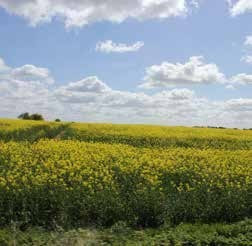 The hillside of the rapeseed plantation fields is mostly found on the left and right sides of the road to the Cotswolds. The yellow color of the canola blends with the bright blue sky creating a beautifully visible contrasting color from a distance. This plant has also started to grow in the English countryside since the 13th century, but it was only around the 1970s that black seeds from this plant were produced into cooking oil known as canola oil and for biodiesel purposes. The Swan Hotel, one of the hotels in Bibury, could be a place for lunch. At the hotel, Swan Brasserie restaurant serves grilled trout with mash potato and special sauce. The fish is taken from local trout farms around the hotel. 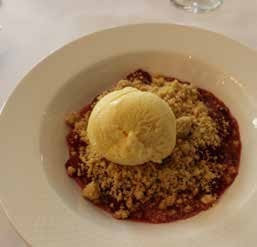 For dessert, there is an apple crumble served with vanilla ice cream and raspberry sauce with a sizeable portion. It did not disappoint. 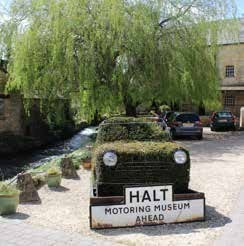 Some interesting attractions in the village of Bourton on The Water is the Cotswolds Motoring museum and Toy museum. Miniature antique car overgrown with grass characterizes museums that collect more than 30 antique cars, classic motorcycles, and caravans. 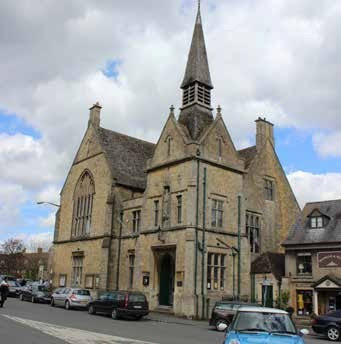 St Edward's Hall which is in the middle of the town square Stow on the Wold was built in 1878 as a means of meeting place (top) as well as the library (bottom). The figure of St. Edward himself looks at the niche above the main door. In the tower there is a bell turret built to summon firefighters in the past. One room is also used as a gallery as well as a museum featuring paintings from the 17th century which are all replicas of the original paintings. Stow on the wold, a town formerly known as Edwardstow is known as a market town or a market town. In the middle ages, when the golden age of wool trade, the Stow on the Wold Town Square was a sizable sheep market and has existed since 1107 from the reign of Henri II. 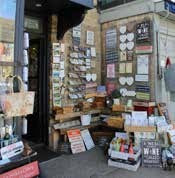 Although the square is not very wide, there are now many antique stores, galleries, and craft shops.